We have provided the best pilot training for 10 years! Time isn’t the only thing that’s flying by! Our students are flying A320s and B737s for airlines around the world as first officers and captains, and many have “graduated” to other planes and positions as well. We’re very proud of their success, so to celebrate, we’re doing what we do best – making the very best training in the most popular aircraft affordable so more students can enjoy great careers! We’re offering our A320 PIC Standard course for just $11,800, for the February 4th and February 19th courses only. Did you know – the A320 is so popular that Airbus is adding a second assembly line in the Mobile, Alabama facility? “Airbus has confirmed that it will hold a groundbreaking ceremony for its new A220 assembly line in Mobile on Wednesday, Jan. 16. . . . Someone is going to have to fly all those planes, why not you? Prepare for a career that’s hugely in demand with the best pilot training in the world. Many, many airlines around the world operate A320 aircraft. Our graduates have lots of opportunities to choose from! Get started with our Enrollment Form. here. Call Garfield Greene at 404- 888-9011 or write info@aerostartyperatings.com with any questions! 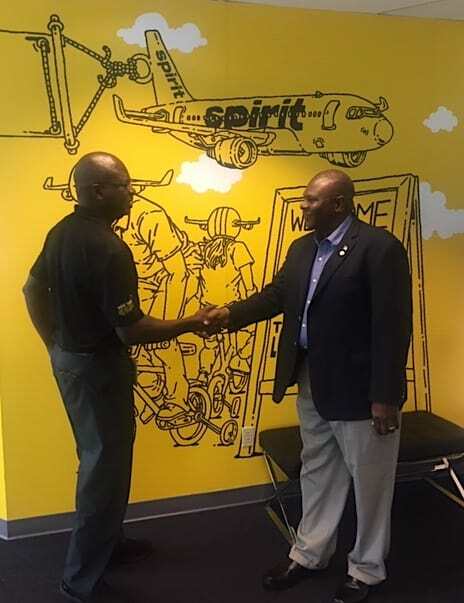 KISSIMMEE, November 15, 2018 — AeroStar Training Services announces a new partnership with Spirit Airlines. This partnership agreement will enable highly qualified pilots, who complete an A320 type rating at AeroStar, to interview for employment at Spirit. AeroStar will also be involved in providing ATP-CTP training for Spirit. “This partnership is very exciting because it will give our successful students the opportunity to interview at a major airline,” said Captain Garfield Greene, AeroStar’s Director of Admissions. 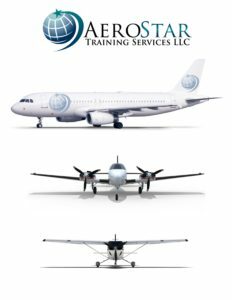 AeroStar Training Services provides the highest quality initial pilot training, ATP-CTP, Airbus & Boeing Type Ratings, and flight attendant training, for the global aviation industry by delivering tangible, timely, and cost effective results. 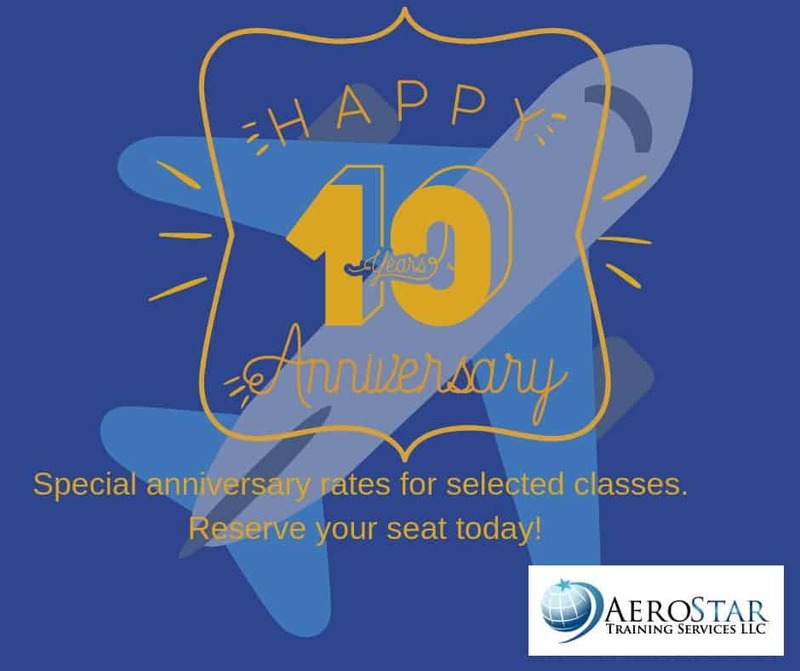 AeroStar was founded by a team of experienced aviation professionals in 2008 with a vision that aviation training should be affordable, state-of-the-art, and provide an enjoyable learning experience for all students. Spirit Airlines, Inc. is an American ultra-low-cost carrier headquartered in Miramar, Florida. It is the eighth largest commercial airline in North America. Spirit operates scheduled flights throughout the United States and in the Caribbean, Mexico, Latin America, and South America. The airline operates bases at Atlanta, Baltimore, Atlantic City, Chicago-O’Hare, Dallas/Fort Worth, Detroit, Houston, Fort Lauderdale, Orlando, and Las Vegas. 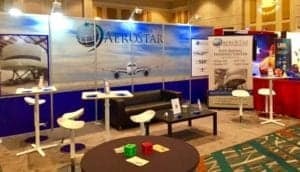 The AeroStar Team enjoyed the WATS conference – we attend each year to keep up to speed with what’s going on in the Aviation Training industry, and to connect with vendors, partners and others. We enjoyed meeting all kinds of aviation training professionals at our booth, and want to thank everyone who dropped by and/or participated in our drawing. WATS 2018 will deliver five independent and impartial conference streams alongside the sector’s biggest tradeshow, with all delegates receiving full access the event. US Airways traces its roots back to 1939 when it was known as All American Aviation, an Air Mail Carrier founded by the DuPont family. The airline was headquartered in Pittsburgh & mostly served areas in the Ohio River Valley. As it made the transition to passenger service in the early 1950’s, the airline was officially renamed Allegheny Air in 1953. The original fleet of DC-3’s was modernized in 1966 with the upgrade to the DC-9 Jet Aircraft. Allegheny changed its name to USAir in 1979 following the passage of the Airline Deregulation Act the previous year, which enabled the airline to expand its route network into the southeastern United States. Finally, in 1997, the airline changed its name to US Airways and introduced a new corporate identity. A stylized version of the Flag of the United States was adopted as a new logo. US Airways was one of the major airlines in the United States owned by the US Airways Group and headquartered in Tempe, Arizona. It flew to 198 domestic and international destinations throughout the Middle East, Europe, South America, and North America. The company maintained a predominantly Airbus fleet, with some Boeing jets and small fleet of Embraer jets. The post-merger continues to operate the largest fleet of Airbus aircraft in the world. In February 2013, American Airlines and US Airways announced plans to merge, creating the largest airline in the world. The holding companies of American and US Airways merged effective December 9, 2013. The combined airline will carry the American Airlines name and branding and will maintain the existing US Airways hubs in Charlotte, Philadelphia and Phoenix for a period of at least five years. The company’s management team runs the combined airline from the American headquarters in Fort Worth, Texas. On April 8, 2015, the FAA officially granted a single operating certificate for both carriers, marking the end of US Airways as an independent carrier. The brand would continue to exist until October 2015. On July 13, 2015, American announced that it planned to discontinue the US Airways brand name on October 17, 2015. On that date, the company made their final flight from San Francisco to Philadelphia with stops at Phoenix and Charlotte, operating as Flight 1939. However, repainting of planes into the American Airlines scheme is expected to take until “late 2016,” and new flight attendant uniforms should be introduced next year, at which point the brand will no longer be displayed on any of its former planes, employees or assets. We recently returned from the RAA convention and are very encouraged about the prospects for pilots starting airline careers. The Regional Airlines (members of the RAA) are an important career step for many of AeroStar’s former students as they graduate to legacy carriers and wide-body pilot positions. Advancing through the ranks at a regional airline can set you apart from other candidates applying for Captain or First Officer positions at larger, more prestigious carriers. Many regional airlines have realized that they need to provide additional incentives to attract quality candidates. Those incentives may come in the form of sign-on bonuses, training opportunities, and other incentives that make these positions more attractive than they may have been in the past. Great. Robert from Oklahoma has, is looking at moving back to the US from overseas, he’s rated in the B737 and A320 and looking to do the ATP on his Airbus certificate and get a job. So all great goals, and I think it’s I’d love to hear where Robert has been but welcome back Robert, it’s a good time to come back. 142 school like Arrowstar, can do your ATP CTP the new prerequisite for the written. If you don’t already have it, if you already have the written. You can attend a typewriting course based on your experience, add the typewriting and as long as you meet all the prerequisites set by the FAA we can get the ATP certificate check done at the exact same time. That gives you for example in our program, if you attend a standard type rating, that gives you 28 hours of jet multi-engine instrument time, because we use full flight level D simulators. So it counts as actual twin, counts as jet, counts as instrument, multi-crew time. That can go towards the new 50 hour requirement for your ATP. And we can do the check rides combined with no additional cost. So it’s a great way, to pad your log book with some extra jet time. Get a type writing on your license, that never goes away. And add that ATP certificate that you absolutely need now to get a job in the US. And save some money at the same time, so you don’t have to do those separately. Well, that’s right, I mean, I think a lot of people don’t understand too the fact that if you do a type rating and your type rating is $13,000, $15,000. But you’re getting 28 hours of twin jet time out of it. Take the amount of money it costs to rent a twin, if anybody will rent you one And multiply that out. Pretty soon the type rating is a pretty cheap option to do, a time builder, to get a type rating that’s on your license that never expires and add your ATP. So I, so first I would like to say that we’ve worked with a whole lot of pilots from Australia we’ve done a lot of training at Aerostar under Casa. And have done that very successfully. A lot of our Australian customers are affiliated with Tiger Airways which is an A320 operation in Australia. So what airlines running A320s would the best to apply for overseas, for overseas crews? Well, to work in the US, you have to have a green card or you have to be a US citizen. So no US airline is going to be able to hire you based on the current laws, unless you have either a green card or you are a US citizen. Once you have that almost every major airline in the United States operates airbuses. The only one that comes to mind that does not, is Southwest Airlines. But if you think of every other major airline in the U.S, they all operate Airbuses now. Outside the U.S. certainly Australian Casa-qualified pilots have been in big demand on the Pacific Rim. So any of the Asian countries on the Pacific Rim. Big demand for Australian pilots. Moving from the regionals to majors is a big key to success in an airline career. Fantastic. Alright, Drew from Virginia says, I’m at a regional and looking to take the next step. Well Drew if you’re at a regional right now, congratulations because I think you’re in a great position. The regionals actually are going to be struggling to find qualified pilots to backfill because the airlines are hiring so many of the regional pilots. And you guys are actually the best prepared. To make that next step. And I would say best prepared, here in the US. Of course those folks that went overseas, and are flying Air Buses and Boeing’s, they’re coming back, very well prepared too. To take the next step I would say be. Be persistent in applying, the squeaky wheel gets the oil so you need to actively prove to the airline that you’re applying to that you’re a good candidate. One of the biggest mistakes that I’ve experienced from helping young men and women pursue this career. Is they put out an application and, and they think well it’s all on auto pilot form here. It’s not. You’ve got to be updating your application as frequently as possible. You’ve got to be updating your hours. You’ve got to be going to the job fairs. You’ve got to be making yourself. The squeaky wheel. Getting yourself to the top of the application pool. Anything you can do to increase your professional standing too. If you’re already typed in the RJ or the ERJ or the aircraft that you’re flying, that’s great, if you’ve completed your ATP, which I’m sure you have, those are things that are, clearly going to help you. You should consider whether a typewriting would help you to get on with an airline Jet Blue, With Spirit, With Virgin. How much are you willing to invest now to make that next step sooner, so that you can get the bigger return on investment. Welcome to our Airline Pilot Career Workshop. And we’re actually really happy to have Captain Dave Santo with us and we’ll introduce him in just a minute. But you know, one thing that I was taught while I was growing up is the best thing that you can do. If you’re looking at a career or anything else, is to find someone who is in that field, and ask them every question that you can think of. And we don’t really get that opportunity that much these days. It’s not like you can corner a, an airline pilot in when you see one in an airport and just ask him any question you can think of. So, we have one cornered now. We have one cornered now. And Captain Dave is really, really good at what he does and he’s very open to, to answering questions. So, thank you for joining us. This webinar will be 45 minutes. We may run a little bit over to, depending on questions and things like that, we’ll try and get everybody answer to the best of our ability. We’ve got a lot of people on the line today from all over the world. Participants are muted, but you can submit questions by typing them into the chat window at any time. Most of the questions we have in the slideshow were submitted to us when you registered for this course. So thank you for those questions. And we’re really glad that you’re here. Please put aside your distractions and grab a pen. Cuz you’re gonna wanna take notes. And make sure that you are paying full attention. Cuz like I said, we don’t get this opportunity as often as we would like! So captain Dave, welcome. Thank you for joining us. Thank you, Paula. And thank you, John, for having me. It’s great to be with you. Excellent. So can you tell us a little bit about what you’ve been doing with U.S. air carriers. And I know you’ve worked in private aviation. And, and several other places. You’ve even flown gliders. So, you’ve got a wide variety of experience in aviation. Well, Paula thank you. In a nutshell yeah I started in gliders actually as a teenager. I had a job working at a Glider Port. What they call being a line boy which is young men and women who hook up the ropes and hold the wings for the glider during the launch. So, I’ve been doing that since I was 13. I came up through civilian aviation although I was very interested in the military it just didn’t end up being my path. And so in my pursuit of my career I’ve flown for on demand charter, I’ve flown air ambulance, cargo and corporate. I’ve flown small aircraft Cessna 206, 207 flying bank checks all the way up to 747-400s. Flying freight and currently I’m an A320 captain for a major U.S. airline. Well that’s fantastic it sounds like you’ve done pretty anything that can be done maybe with the exception of helicopters, that’s pretty much everything else. [LAUGH] And of course this session is, is sponsored by Aerostar Training Services. LSE and you’re one of the founders of that organization. I am, so, I have always kind of gravitated towards training. I’ve worked for a number of training departments and in a number of training capacities and when I had the opportunity to work as a found of Aerostar. An organization whose tagline is helping aviation career dreams take flight. That was very exciting for me and it’s been a privilege to be a part of trying to help others get high quality, low cost training on Air Buses and Boeing equipment. 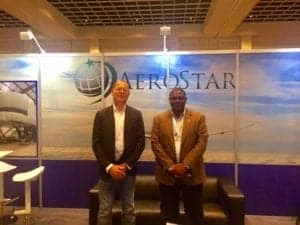 So, it’s been an exciting time in addition to my airline career to work with Aerostar. Fantastic. And like I said, this is a great opportunity for people you know, who may be interested in an airline career to really dig in and, and ask questions. And you know, you’re very open to, I think, just about anything. I think we got a whole bunch on the slide show, but there are lots of people may not have thought of. So if you asked a question when you registered for this session it will probably be included in this presentation. And if we don’t have time to cover you’re question we’ll, we’ll reach out to you personally. So, some of the topics we’ll be covering, career paths salary, a lot of questions were about that. Quality of life for pilots. And so on and we’ll start with some general information. We’ve got about four slides that you shared with me, Dave, about the market in general. This first slide is about the approximate number of pilots in the major US Airlines, and I know that is a topic of interest to lots of people. Yeah, there’s quite a few people of course in the airline industry right now, and the projection is for huge growth. Both domestic United States and of course around the world. In fact the largest growth is outside of the United States probably looking at Asia with something like 30. 5 to 39% of the growth over the next 20 years. There’s a lot of folks in this industry, there’s a lot of folks at different stages in the industry. And I try to focus on looking at the success stories. It’s not an easy career, it is a challenging career, it’s a very professional career. But, there are a lot of people. I mean, look at these numbers. Thousands and thousands of people have made it to be airline pilots. If all of these folks can make it to be airline pilots, certainly anybody can who applies themselves, who work towards it. Now, I should be careful in saying anybody. these numbers. There’s just huge numbers of pilots, who’ve actually succeeded. Exactly. And growing from what I understand. And there’s a huge number that are retiring. Off the top of, of all of these numbers. So, you know, if you look at the number that are required, and some of the demographics of pilots retiring. And also the growth in the industry. It’s just a huge opportunity right now. Well that’s exactly right. And so, one of the things we have to look at that’s very exciting. Is the growth opportunity out ahead of this over the next 20 years. There are some that will look in the rear view mirror and they see the past 20 years, and they try to say that the next 20 will look a lot like the, the last 20. And that is absolutely wrong. In the last 20 years, we went through a huge downturn and, and kind of a, a lull in the aviation industry. The, this was precipitated by September 11th and the economic downtown and the housing bubble here in the US. Now, you’re seeing kind of a hiring tsunami. Because, the airline industries are picking up. All of the major airlines are making money. All of the major airlines are hiring. And at the same time, there hasn’t been a lot of hiring in the past 20 years. So naturally, the people that were hired 20 years ago. They’re getting close to retirement. Which means that it’s a double whammy for the industry, creating this hiring tsunami. A bunch of retirements and a lot of growth, means a lot of new opportunities for young men and women coming into the industry. Right. And I know one of the things that you’ve mentioned to me is that in this industry, seniority is, is everything or longevity is everything. And I think this this chart shows a lot about that, and I apologize for the quality of this. We it wasn’t the best screenshot, but I think the information is important enough that we just picked it up and used it. Yeah, but look at some of these numbers. I mean, wow. Let’s go out here to. This is major US Airlines, 8320 and similar first officers in the US. Let’s just pick a point on the ten year line. It’s more than $140, between $120 and $140 an hour. How many jobs, professional careers, pay that kind of hourly wage? I mean, that’s pretty exciting stuff there. And if you want to do just kind of a rough average, if you, you anticipate that in a year a pilot will fly about. 1,000 hours in 12 months. That means that you could just take this number simply by 1,000. So, if you’re making $120 an hour, it’s $120,000 a year income. That’s not including profit sharing, that’s not including 401K or retirements. So, anybody who says that this is not a lucrative career I challenge them to look at these numbers, it’s really exciting. So, you said they’ll fly about a 1,000 hours a year, so is this based on flight time or work time. It’s based on flight time John, so most airline pilots are paid based on some combination of the doors closed and the break released, or the doors closed and the aircraft begins to push back. And they are paid from that point until they part the airplane at the other end of the lane. There is some time spent for example doing pre-flights and walk rounds that we currently industry standard, don’t get paid for. Right, but the average is still pretty good. One thing I wanted to point out is there’s a huge difference between year 1 and year 5. So, you know, a lot of people that get into this industry feel that maybe the entry level pay is not what they would be hoping for. You know, especially considering you know, that some of them have accrued some debt in their education and things. So they’re taking a job in year one that may not be what they had been hoping for, but if you look at the difference between year one and year five. You know, in some cases it’s you know, between, it would take just the line for American Airlines, you know, from 65 to 125, actually more like close to 135 within the first five years. Yeah, that’s exciting news, but even if you look at the entry level, the average there of the airlines is somewhere between 60 and $75 an hour. So a starting income at 60 to $75,000 a year. That’s still, when you look at the how that ranks with entry level jobs in America, I would say that that is nothing to sneeze at. We have to in all fairness, what happens in the career path is most pilots come out of college and they either flight instruct or they work as a flight instructor until they get a job with a commuter or a regional airline to build their time. So it’s not unlike a doctor in the fact that there is kind of this internship this time after college, but before you get on with a major US airline there is that time interval in the industry, and that time interval is becoming shorter, and shorter because of the demand. So what we’re seeing in the airlines is people are, are post college. About three years, some five years are able to make that leap into the major airline. Well, if you graduate at 22 and you make the leap by 25 to 27. You’re looking at a lot of longevity, and if you do the math on these tables, you’re talking about millions of dollars worth of lifetime earnings, to get over there and get that seniority started as soon as possible. Great, exactly, and then this next one is rates of pay as a 12 year captain. So this is kind of the the pinnacle of that arc and Dave, I know this is probably what everybody is, is looking toward. They want to be that experienced captain that has control over his life gets to choose his routes, gets to choose his planes gets to choose, you know, a lot of things based on seniority. Let’s talk about the 12 year captain because that confuses some people. 12 years means 12 years longevity from new hire. So if you are a new hire into the airline at 27. And you make captain ten years later at 37. You are a 10 year captain. It’s not like you do your first officer for 10 years, and then you start over as a first year captain, that’s not the way this table reads. It’s a captain with 12 years total longevity with the company. So if you look at a 12 year captain, and, and you were to upgrade within 12 years, which I think is pretty reasonable right now within the major US airlines. You’re looking at being what, 39 years old and you’re, if you look at this line all of the airlines are hovering right around that $200 an hour level. So you take that times 1000 hours a year, it’s $200,000 a year in in pay. That’s not including profit sharing, retirement all the other benefits. So for the nay sayers that are out there, and they, they are, they’re on the blogs and they’re on the websites, that say this isn’t this isn’t the way it is. This is what the current airline industry pay is, it’s gone up a lot over the last few years. And I mean, that’s, if that doesn’t excite somebody with a return on investment. You make $200,000 a year before year 40. So let’s just run the math, you’ve got 25 years left, at $200,000 a year. Well, every ten years you’re making $2 million, so you’re making $6 million from the time you’re 40, until you’re 64. That is not a bad earnings, especially when you look at you’re getting no less than 12, and more likely at this point in your career 15 days off per month. Great, and just to explain some of the, the letters and numbers at the bottom of this chart. That’s the airline and then the aircraft type so, you know, if you’re kind of debating between aircraft types, it looks like the pay is really, really similar between an A320 family or a V737 family aircraft. It’s just a, a question of which airline and, and where in the world you want to fly. And, and I agree with that, that’s right. The, the A320, the Airbus, and the Boeing fleets are narrow bodies. So a lot of the narrow bodies are very closely tied together. When you start getting into the wide bodies you start seeing a little bit more variance because of the size of the airplane, but this is a narrow body captain. This isn’t even your gross earning potential, and if you’re at American, if you’re at Delta, if you’re at United, this isn’t even looking at what wide-body captains make. Again, gross earning potential is well above this if you go to an airline that has widebodies. So you could take one step above this, and we don’t have that chart, but you know, that would be a a, a difference of possibly I don’t know if you know the numbers off the top of your head for a wide body captain, but what the rate would be for that? You know, and I don’t know those numbers off the top of my head, I would anticipate it being about $50 to $75 an hour more. Plus international override. So you’re looking at north of 250, close to $300 a hour. So you know, close to $300,000 a year, with the international override gross earnings. Right, that makes perfect sense. All right one more slide and then we will start to get into the, the questions and this is kind of about the quality of life. The sick vacation and, and PTO, which is part time off, or paid time off. And most of them have some combination of sick and vacation time available. And looks like Jet Blue’s the only one that does the paid time off, which means you could use it for either, that time that you have? Yeah, I think that’s what the chart is reflecting. Okay, excellent. So you know, a lot of people are concerned about the flexibility that you have as an airline pilot. And it looks like you get quite a bit of, of, of vacation and personal time with most of these airlines. And, of course, then you also have the benefit of being able to go somewhere to suspended right. Well, that’s absolutely right. I mean, the career I’ve heard a lot of people say well, you know, the career isn’t as glamorous as it used to be. It’s no longer the days of PANAM and TWA and I would agree with them. However the earning potential, the quality of life the effort that’s been made by the professional pilot organizations to refine the quality of life, this is just a great profession to get into. And it’s getting even better. So, you know, I have to laugh sometimes and pinch myself. Because here I’m already getting 12 to 15 days off every month. Which is in most occupations completely unheard of, making a six figure income, and then I get to take vacation. So if I want to combine my vacation, I can take one, sometimes as much as two months off. In addition to my 12 to 15 days off per month. So I would say that the flexibility, the quality of life, the pay, the airline industry, if you have a passion for flying, it’s the whole package. But it’s got a lot of variables, and those variables are gonna be based on where you live. Whether you have to commute to work or whether you can be reside in a base. Residing in a base means that your days off, you’re not commuting, increases your quality of life. There are so many variables here to make airline industry even better for you. But I think if you showed this to most people outside the aviation industry, they would be wow. Now, there’s a reason why we get this. We’re gone away from our families a lot, so on the 15 days that we work per month, or 18 days, depending on your schedule, you’re gone away from home. A significant portion of that if you don’t live in base. And so the airlines recognize that and they are trying to get you more time off at home with your family on the days you do have. Right, at home with your family, or you get to take your family some really cool places, because you can use some of those benefits. That most of the airlines have. And I, I know, Dave, you’ve taken some really fun vacations with your family. Well I have. I mean, every, every yeah we take family vacations, we use our travel privileges. And then the airlines reciprocate. It’s a program called fares where you can fly on other airlines. At a significantly reduced cost on standby. Now it’s standby, and that discourages some people. But I’ll tell you what, we’ve had some great adventures, that we would have never been able to, really do or justify, had I not been in the airline industry. We’ve gone to Europe. We’ve gone all over Europe. We’ve gone to, Central and South America. And, I think that’s just a wonderful benefit. I, I was just sharing before this program that my daughter, who has travel privileges, was able to do a weekend trip to, to Texas, to visit a girlfriend. Those types of opportunities that your family gets to enjoy is really priceless. I’ll share one more with you in a previous job I got hired with a major US legacy carrier and I wasn’t even out of initial training yet. When my mom and dad decided to take a trip to Paris, France. To, it was a pretty proud moment for me that my mom and dad finally got to reap a little bit of the reward of helping me to pursue my aviation career. That’s fantastic. That’s what it’s all about, isn’t it? I mean, to have those moments with your, your family when you can do what everybody wants to do and, and make everybody happy, so. That doesn’t happen very often. [LAUGH]. Well, when sometimes at the airline industry because it’s so readily available to us, we, we sometimes take it for granted. And we don’t talk about that being a benefit, but it certainly is. If you’re a person who likes to travel. And if you’re a person who doesn’t want to sit at a desk job, nine to five, Monday through Friday, grinding it out in front of a computer or a phone. This is an occupation that allows you to do a lot of travelling, work flexible hours. See a lot of the world and get a lot of cool benefits. David Santo: Some of the programs that we’ve worked with can accomplish zero time all the way through the commercial multiengine instrument and a type rating within as little as 12 months. This is based on the student being full time, fully engaged in the ab initio course. If we go through that pipeline they would come into the program having been pre-screened. We’ve seen screening tools like COMPASS which are aptitude tests that help identify before you spend the money whether you have the right stuff, if you will, to make it through the program. Then they complete their private pilot license, they complete their instrument license, they complete their time building for their commercial, complete their commercial license, their multiengine. Then they come to AeroStar for that finishing school, if you will. We do jet transition training. We do the high altitude, high speed aerodynamics and theory training. We can do CRM. We can do the new ATP/CTP course which is a requirement for the ATP written. Ultimately, our final stage of training of the pipeline is completing the type rating or A320, B737 crew qualification training. Want to see the whole recording & transcript? Flight School Opportunity Webinar Excerpt – Who is Captain David Santo? Paula Williams – We’ll introduce Captain David Santo who has been waiting patiently, and you’re in Michigan today, are you Dave? David Santo – I sure am, Paula. Paula Williams – Fantastic. We’re really glad to have you here today. You might want to tell us a little bit about your career. I know you’re an airline pilot, and you absolutely love it. David Santo – I am. Thank you, Paula, and thanks once again for organizing the seminar. To you and to John both, I greatly appreciate all of your efforts. It’s been great to work with you. I’m sitting here looking at the introductory slide, and I’ve got to update that picture because that’s false advertising. That’s about 10 years old now, and I’ve got a lot more gray hair than that. Paula Williams – You look fantastic. David Santo – I am indeed an airline captain. I’m an A320 captain for a major US airline. I’ve actually worked for five different 121 airlines over my career and a handful of 135 and corporate organizations as well. It’s been a pretty well-rounded career. I’ve done passenger airlines now. I’ve done cargo operations in worldwide transport flying 747s. I’ve flown Lears and Citations, some airplanes that maybe some folks haven’t heard of like Hansa jets and turbine Beech 18s. It’s been an absolutely fabulous career for me so far and I’m only in the middle of it. I’m looking forward to a long career still ahead of me. Paula Williams – That’s fantastic and I think there’s been a lot of noise lately about how, especially in the US, a lot of people are unhappy with an airline career and for different reasons and things like that. I think you show a different side of that coin and show that it really can be a fantastic career if you’re in the right place and the right time and if you just basically follow a path that is smart about how you do that. David Santo – I think you’re right, Paula. So many people are very concerned on the blogs about the experience that they’ve had in their career. I can honestly tell you the experience that people have had in the last 15 and 20 years has been very challenging. We have to be sympathetic, even empathetic, to the fact it has been a very tough environment for the last 20 years. It’s also a cyclic industry meaning that when you have a downturn for every action there’s an equal and opposite reaction. The reaction right now is that we are going into what’s projected to be a 20-year boom in the industry. We can’t take the past, last 20 years experience and say this is what the industry is going to be like, it won’t be. It’s going to be much better in the future and that’s what’s really an exciting message for us is to convey that we’re getting into a very good time in aviation.